In latest audio recording, Ayman Al-Zawahiri calls for Muslims to unite in order to "liberate" Jerusalem. More details are emerging about the audio recording released Sunday by Ayman Al-Zawahiri, leader of the Al-Qaeda terrorist organization. According to additional excerpts released on Monday, Zawahiri welcomed the latest terrorist attacks in Israel and called for Muslims to work to “liberate” Jerusalem. Zawahiri says that “Muslims everywhere” are upset by the “Jews’ repeated attacks on the blessed Al-Aqsa Mosque,” according to a translation obtained Monday by The Long War Journal website. According to Long Wall Journal, the Al-Qaeda leader also links “liberating Jerusalem” with attacking Western targets. He argues that two things are required to “liberate” Jerusalem. First, the jihadists must strike “the West, and especially America, in its heartland” and also attack Western interests everywhere they are found. 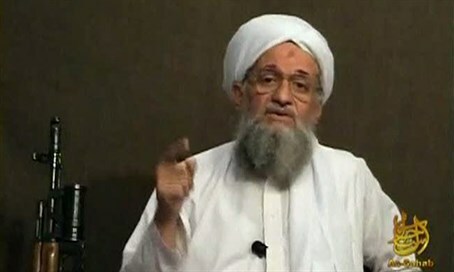 Zawahiri cites a number of previous attacks in the West as part of his call for more terror, including the September 11, 2001 hijackings and the Boston Marathon bombings carried out by the “two Tsarnaev brothers”, according to the website. Second, Zawahiri says that Muslims must establish a “state” in Egypt and the Levant in order to “mobilize the ummah to liberate Palestine.” This, he says, “requires unity,” avoiding “disputes and ending “hostilities” between “the mujahideen.” This is a reference to the infighting between Al-Qaeda and the Islamic State (ISIS), led by Abu Bakr Al-Baghdadi. In the excerpts released Sunday from Zawahiri’s speech, he called on Muslim supporters to band together to confront the “threat” from the West and Russia in Syria and Iraq. "The Americans, Russians, Iranians, Alawites, and Hezbollah are coordinating their war against us -- are we not capable of stopping the fighting amongst ourselves so we can direct all our efforts against them?" he said. It was not clear when the recording was made but references to Russian “aggression” suggest it was made after Russia began airstrikes against opposition groups and Islamic State in Syria on September 30.